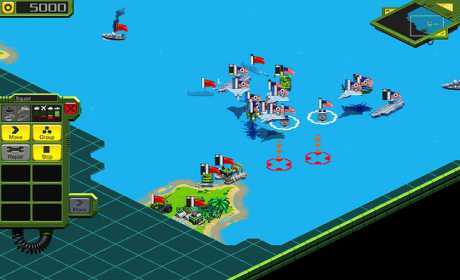 Tropical Stormfront is Real-Time Strategy (RTS) game in a tropical setting. Take command and join the ultimate war of good versus evil. Defend your freedom against the forces of darkness. Fight real-time battles in the tropics and become the ultimate leader. Play multiplayer games over LAN and internet including co-op multiplayer. 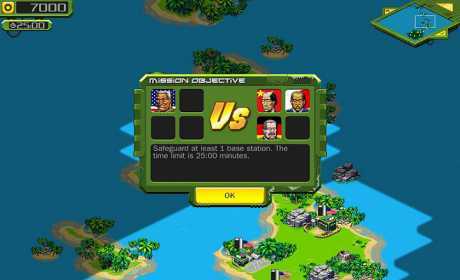 IMPORTANT: Please note that the game requires a screen resolution of 800×480 pixels or higher. Although the game still runs on a lower resolution, not all GUI elements will be rendered properly. The game has been thoroughly tested and runs at about 30+ frames/seconds. It is possible though that the application is slow on some devices. Please try the LITE version before purchase to verify proper function. If you encounter any problems running the game, try (1) a device restart (i.e. turn off completely) as well as (2) a complete re-install.